Travel Bags are a must to keep Anker products safe and organized. That's better than mine lol. Hoodies are great. I was rocking the hoodie I got from ecobee last night. How did you get an eco bee hoodiie? You know you could do some stickers with whatever swag you give out. Do you have any ecobee products? They have a community site, vibee.ecobee.com. You can earn points and redeem them for stuff. They use to have a bunch of stuff, but it's been paired down recently. 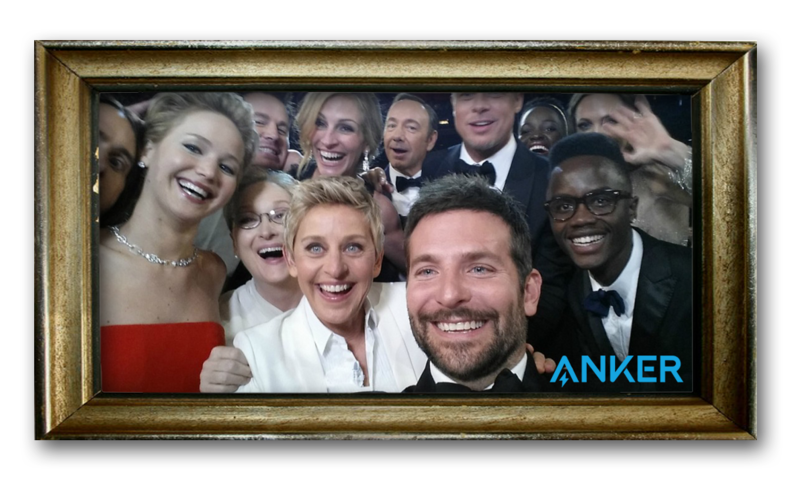 What about a framed celebrity selfie? Any swag that you create, please, do free draws for them!! In future community events, can there be a pre cut off date, Along with a last comment restriction. It was good at christmas, that there was a newbies draw, but I think, community, should be existing members. If anyone agrees, please click like. I'm not against new people winning GLOBAL events, just not special community ones. It gives pre-existing members a reward for being regular members, as apposed to one shots and lucky beginners, so to speak. What do you mean by a precut off date? So if you are not a member of community at start of the competition, then you cannot win. So, anyone in community before 26/01/2019 01/26/2019 can enter the community competition. Anyone who joins after cannot enter. .... This is just an example. This means it is for existing members only, not those who join after competition started. Now, while I'm not level 7 ... therefor not worthy for sweet, succulent swag, I still want to weigh in! @AnkerOfficial , you make some of the nicest things! The one thing I wish I saw more of, is the personalized carrying cases. I bought one of your Soundcore 2 speakers recently, with the official Anker carrying case. I COULD have gotten an aftermarket carrying case which look the same but come in other colors, but I wanted the Anker-made product because I just knew it would have the same care and attention to detail put into it that the product inside it did. I prefer NOT to buy some imported knockoff that was made in some sweat shop where they don't care about quality. I want to put all the money I spend on gadgets and cases to back to the same company, YOU. You need to make more custom fit cases. When I found out recently that I won one of your Soundcore Flare speakers, the first thing I did was head to your website to order a case for it. Only to be bummed because you don't make one for it. So, more products like that please? Thanks! Reusable coffee mugs which can be used at starbucks - see the according topic ! Save the environment. That makes Anker big. Indeed the whole world and the sea is full of such plastic garbage. Many companies use these for fast food, coffee etc. May be young people think it's chic to use such plastic "throw away"
But it's your world which is destroyed. I was surprised at how much land rubbish ends up in the sea. Not just from those at sea, or at the beach, but even from places not near the sea. This was quite a shock. So now if I have a takeaway coffee, I use my keepy cup (which is attached to my walking frame, so I don't forget it). I think rewards for using such cups should be better rewarded. At the moment you get pence or a small percentage, although my usual coffee place gives you double stamps, thus earning a free drink twice as quick.